Sen. Sheldon Whitehouse (D-RI) made the case for more effective use of HIEs, citing Rhode Island’s CurrentCare as a model of interoperability in the making. The HIE has enrolled over 400,000 residents and now pulls data from 78 hospitals, labs, and physicians. Future plans include pulling real-time claims information from payers and developing health management apps for patients. Chase Clinical Documentation releases a remote scribing tool, enabling physicians to dictate patient encounters in real time. The tool then converts the dictation to text and inserts it in the appropriate area of the EHR. Azalea Health incorporates real-time dictation from Scribe Healthcare Technologies into its EHR. 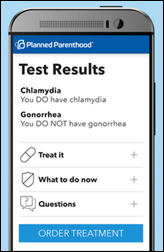 Planned Parenthood announces plans to release its Direct mobile app to California residents, offering users a way to confidentially order STD tests through their cell phone and receive treatment if they test positive. The new app is part of the organization’s push to offer sexual health and reproductive services digitally. It launched the Care mobile app in Washington and Minnesota last year, offering residents video consults with Planned Parenthood providers. Swedish researchers test the idea of texting 10,000 certified volunteers to alert them about nearby cardiac arrests requiring CPR. Texting volunteers increased rates of Good Samaritan CPR among 667 instances of out-of-hospital cardiac arrest, prompting researchers to consider further trials. Black Book ranks the Quest Diagnostics Care360 EHR as number one in satisfaction among physician practices and groups with two to five practicing physicians. A corporate wellness study of user health data from 10,000 Withings smart devices finds that 70 percent of employees sit for extended periods, 56 percent prefer to eat at their desk, and a third snack throughout the day. Most employees also seem to gain weight when they start a new job. Overall, survey results point to higher-paying jobs being more detrimental to employee health. “People-facing” industries such as education, arts, media, or tourism and hospitality are among the most active. 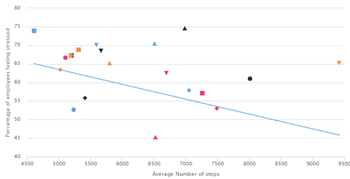 Health professionals are in the middle of the pack when it comes to activity level, while software developers and IT services managers near the top of the inactivity scale. MyIdealDoctor receives an undisclosed amount of funding from holding company ValorBridge Partners, which it will use to scale up its telemedicine and digital health services. ValorBridge Partners will receive a seat on MyIdealDoctor’s Board of Directors. The funding comes just over a week after MyIdealDoctor announced a partnership with healthcare navigation app developer Zest Health. The Electronic Health Record Association nominates Leigh Burchell (Allscripts) as its chairperson and Sarah Corley (NextGen) as vice chair. Rick Reeves (Evident) has rejoined the association after a three-year hiatus. 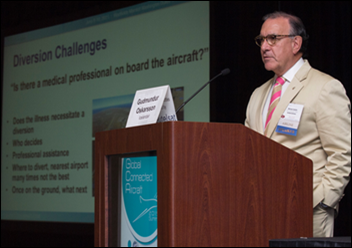 United Airlines Senior Vice President of Corporate Safety Michael Quiello highlights the high cost of mid-flight medical diversions, pointing out the need for a cost-effective technology that uses cabin-based Wi-Fi to help air and ground personnel communicate quickly about a passenger’s vital signs to determine if a medical diversion is necessary.